Central Depository Services Ltd (CDSL) on Tuesday filed a draft prospectus with the capital markets regulator Securities and Exchange Board of India for an initial public offering. 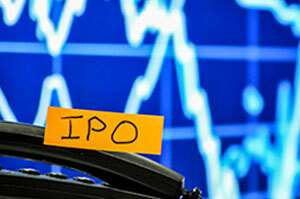 The IPO comprises an offer for sale by the securities depository company’s shareholders including stock exchange operator BSE Ltd, State Bank of India, Bank of Baroda and Calcutta Stock Exchange. The shareholders will sell a total of 33.65% stake in CDSL, as per the draft prospectus. The IPO is estimated to be worth Rs 450 crore ($66 million), a banker aware of the matter said. This would value CDSL around Rs 1,500 crore. CDSL becomes the second financial market infrastructure entity to announce an IPO. BSE, Asia’s oldest stock exchange, filed its IPO proposal with SEBI in September 2016. The IPO will see Singapore Exchange Ltd and US billionaire George Soros’s hedge fund Quantum exiting the bourse. BSE’s rival and the country’s largest stock exchange, National Stock Exchange Ltd, plans to file its IPO prospectus with SEBI next month. Issue: Promoter entity BSE will sell a 26.05% stake to adhere with regulatory norms of 24% ownership by a stock exchange in a depository. BSE owns a 50.05% stake in CDSL. It has until 31 March 2017 to trim its stake in CDSL. In October, BSE had sold a 4.15% stake in CDSL for Rs 34.15 crore. State Bank of India, the country’s largest lender by assets, will sell nearly half of its 9% stake. Bank of Baroda will sell a 2.08% stake from its current holding of 5.07%. The Calcutta Stock Exchange Ltd will sell its entire 0.96% stake. Bankers: Axis Capital Ltd, Edelweiss Financial Services Ltd, Nomura Financial Advisory and Securities India Pvt Ltd and SBI Capital Markets Ltd are lead financial advisors to CDSL’s IPO. The company has also hired Haitong Securities India Pvt Ltd, IDBI Capital Markets & Securities Ltd, and Yes Securities (India) Ltd as merchant bankers to the proposed IPO. CDSL facilitates deposits of securities by opening an account. Securities such as shares, debentures and bonds of investors are held in electronic form (dematerialized form) at the depositories. It has about 1.6 crore investor accounts. Apart from the selling shareholders, CDSL’s other shareholders are Bank of India, HDFC Bank, Canara Bank, Standard Chartered Bank, Union Bank of India and Bank of Maharashtra. CDSL reported consolidated net profit of Rs 3.97 crore on revenue (operations) of Rs 70.13 crore for six months ending September 2016, according to the prospectus. For 2015-16, its revenue from operations stood at Rs 122.85 crore compared with Rs 105.41 crore in the previous year. Consolidated net profit for 2015-16 was Rs 73.91 crore compared with 43.42 crore the year before.